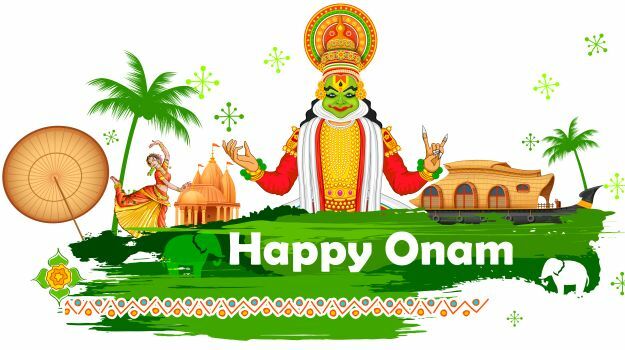 The word 'Onam' refers to the rice harvest in Kerala. One of the most enthralling tradition of the Onam celebration is Vallamkali, the snake boat race. Dressed boats are oared by hundreds of boatmen over the river Pampa. These snake boats are called 'Chundans'. Men also compete in rigorous sports like Ambeyyal (archery) and Attakalam (combats) as a part of the tradition. Homes are adorned with exquisite flower carpets called 'Pookalam'. People also apply rice flour batter on the main entrance of their homes as a welcoming gesture. The cities brim with fabulous fireworks turning the state into an absolute paradise.